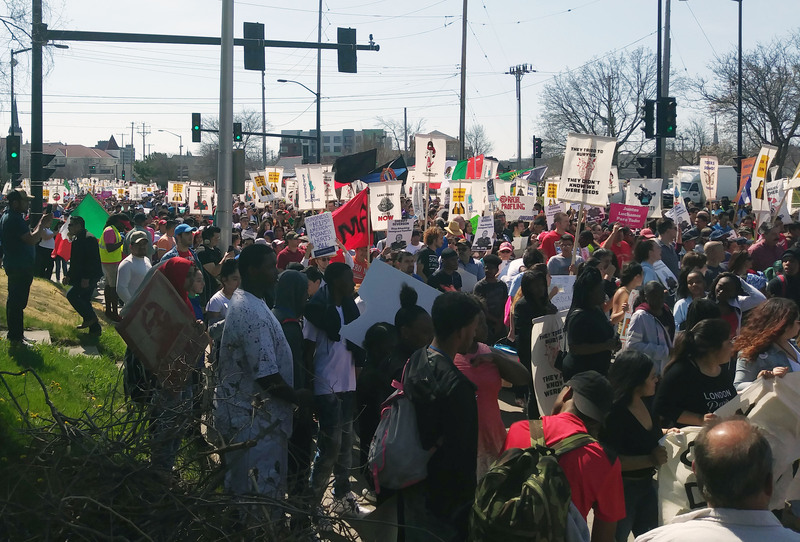 A Milwaukee immigration rights group held a march in opposition to the Waukesha County Sheriff's Department's partnership with federal authorities on immigration enforcement. 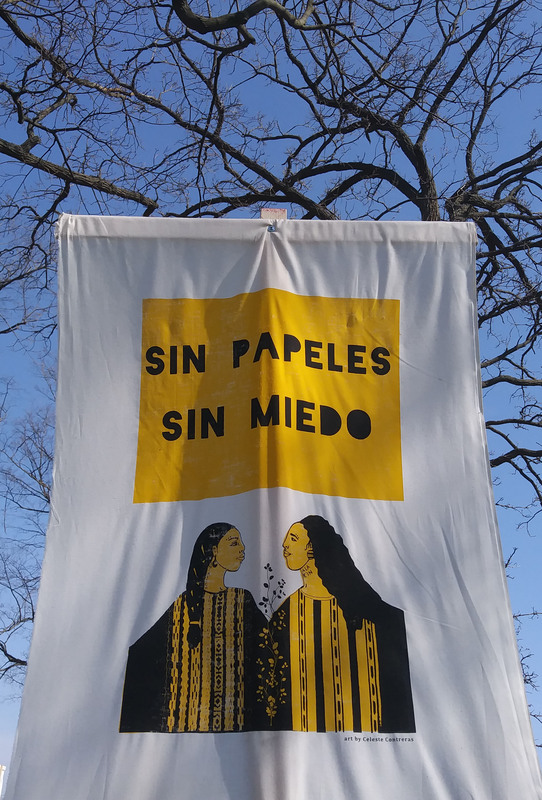 Voces de la Frontera put together the "Day Without Latinos" rally Tuesday in Waukesha to call on Sheriff Eric Severson to stop his department's partnership with the U.S. Immigration and Customs Enforcement. The county will participate in a jail model program that allows deputized officers to give immigration detainers to inmates potentially subject to removal from the United States. Two corrections employees will attend ICE training in June. In an email later Tuesday, a spokeswoman for Severson said he has no plans to back out of the agreement. Jail staff training will be moving forward this summer and the patrol division is not expected to see changes in its operations. Organizers estimate about 10,000 people were in attendance, while the sheriff's department estimates 3,000. The sheriff's department reported no incidents. Milwaukee County Board Supervisor Marina Dimitrijevic was one of those who participated, and said she marched because she wants to keep families together. "I want to walk in solidarity, show the strength of Latinos on our economy and our community, that we're here, we're here to say this community was built on the backs of immigrants and we want to make sure that we have a strong showing to show that we're united and supported," Dimitrijevic said. Ramona Meraz, of Waukesha, participated with her brother and sister-in-law. She said she hopes the county doesn't partner with ICE. "I work in a school where there are a lot of Latino kids," Meraz said to a WPR reporter in Spanish. "And the parents are very worried that they wont be able to send their children (to school) and worried that they'll have to separate from their children, from their families." Angela Lang, executive director of Black Leaders Organizing for Communities, came from Milwaukee to show her support to the immigrant community that she says is under attack. "Specifically like the black community and communities of color are making sure that we're supporting immigrants in any way that we can," Lang said. She said she wants people to see there is strength in numbers. The march began Tuesday morning in Cutler Park in Waukesha and ended at around 11:30 p.m. at the Waukesha County Courthouse, about a mile and a half away. Editor's Note: This story was last updated at 6:41 p.m. Tuesday, May 1, 2018.